Many dining options are available at this complex ranked among the top 100 Hotels & Resorts in the World. 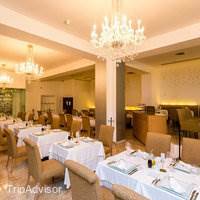 Breakfast and lunch buffets are available, and the property's restaurants serve a variety of cuisine, including French-fusion, Italian, Japanese, Thai and Chinese options. Thank you for the best honeymoon we could have ever asked for! 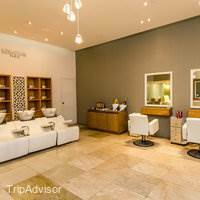 Get Pampered at Le Blanc! 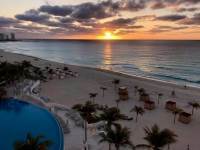 We have stayed at various Top 10 All-Inclusives in the Cancun area. 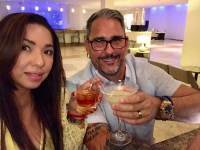 We decided that we would go with the #1 rated (TripAdvisor) resort for our Honeymoon in April, 2017. We were not disappointed! Check in went smoothly, thanks to Erika and Elisabeth. Our room wasn't quite ready, so we went up to the 3rd floor outdoor cafe for lunch and drinks. Edgar & Jacinto took good care of us. We then were taken to our gorgeous room on the 7th floor. Our Butlers during our stay were Hugo, Raphael and Johnitay. They were more than ready to help with any requests we had. And always with a smile. The Beach Bar was our absolute favorite. Gerardo and Fernando were TOP NOTCH! We hated to say Good-Bye to them, they made us feel like family. They are both truly an asset to Le Blanc. I enjoyed a most relaxing massage during our stay. Vera was my Masseuse, and did an excellent job. I used resort credits for this. I wish I had spent more time exploring the Spa. Drink tip: order top shelf liquors and most always, they will be happy to oblige. The only time they didn't was if they were temporarily out of a particular brand. We enjoyed a nice dinner each night at the different restaurants on site. However, we weren't blown away by any of the dishes. 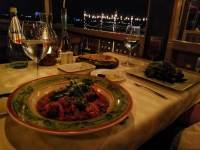 We were hoping for more from the #1 resort, but the food was just good, nothing spectacular. 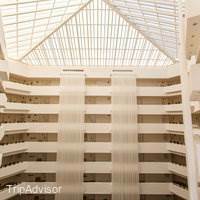 But, that seems to be the case with most of the All-Inclusives we have visited. The breakfast buffet each day was delicious, as well as hot and fresh. We ordered room service a couple of times, and it was fine, as well. All in all, we had a great week in paradise. Thank you to the wonderful staff at Le Blanc for taking good care of us! The hardest part is to leave the hotel like you could never imagine! The experience you will gain is once in a lifetime at this resort. From arriving at the hotel to the end of your trip the experience is like no other. The staff is remarkable. Jessica from arrival, Jesse from guest service, Antonio & Enrique our great Butler's and Armando in Blanc international have all played a huge part in our great experience! 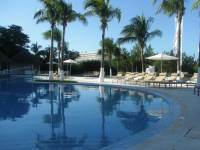 You can rest assure at this resort knowing that your needs are given the attention needed. If you dont want to miss a beat, use the leblancapp and see all those desires from a press of a finger! The experience is 5x times greater than the price paid! 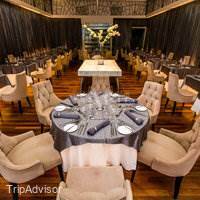 There is nowhere else that you will get fine dining etiquette and five-star hospitality treatment better than here. 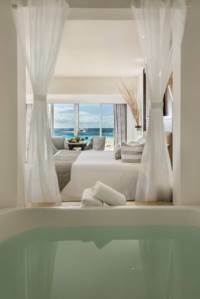 le blanc in Cancun, Mexico is inviting, welcoming, relaxing. Quality customer service from the welcoming Concierge, staff in all the restaurants, room service staff, spa staff. Just awesome. Concierge assigned to the room. Knows the guests name. Always greets guests. Keeps guests informed of activities and time. The room is kept clean. Items replenished. The Cenotes adventure tour was great. Luis (tour guide) at Mayan Adventure is very patient. I cannot swim and I had a ball snorkeling. Should be on your next vacation and have a splash. 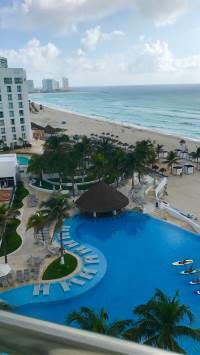 Memorable People.International: Elias, Armando, Erica , Asian: Antoinertta, Manciel, Luminier: Victor, Manual, Concierge : Samuel, Danya, Pool: Marire Laura, Italian: Hilario, Barmen: Rolando, Aaron, Others: Luis, Francisco (big and little), Vanessa, Well here we are again in Cancun at our favourite place. What an amazing two weeks yet again. This year we arrived via the le Blanc Cadillac, ordering drinks on the way to the hotel. A great start and we felt like rock stars. We ate at all the restaurants and we enjoyed them all enormously, for lots of different reasons. We were also here for Mexico’s Independence celebrations, a great evening with proper Mexican food. We even won 300,000 pesos. The staff never cease to amaze us with the continued outstanding quality of service and attention to detail. If you’ve read my previous reports you’ll know that my wife eats plain food. This year the staff have been better than ever, with accommodating her requests. 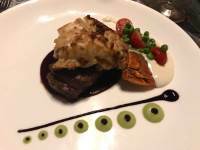 Brilliantly cooked steaks, fabulous stir fry’s and Mexican puddings to die for. I was also very impressed, with the chef who cooked me a fantastic chicken curry in the Asian. Laura in the pool works so hard to give a top quality service, changing towels when you’re not looking, keeping the ice bucket charged and always smiling in the heat. The people named above are not the only ones who go beyond what is required of them, but the others have our admiration never the less. We also bumped into others who return here for the same reasons we do. This year there was a big contingent of Americans, some lovely people, but a few who thought everyone wants to hear them and watch them make a complete ar*e of themselves. Still I guess it was funny watching a 45 year old man, who thought he was Michael Jackson, with his dancing and singing. Don’t give up the day job matey.I can never understand why a few travellers give this place poor reviews. Even on a bad day, le Blanc is better than the majority of places I’ve stayed. It might be no coincidence that a lot of those reviews come from Texans, who have the best of everything like – er, um, !!!!!! !It was nice to see some of the staff, who have been promoted – like Samuel. He was fabulous as a butler and is still so helpful as part of the concierge, orange shirt group. Next year, le Blanc is having a makeover, so we might not get here at our usual time. We might try to find a good deal at Los Cabos when it/if opens, or wait until 2019.We left our home from home after two weeks: rested, invigorated, thankful for the peaceful environment, great food and service. I hope any changes won’t take way what makes this place very special; but one small change I would make is to replace the house sparkling wine. It wasn’t as good as last year’s stuff.Advice: when you give over your credit card details at the beginning of your holiday, this is a precautionary move, in case you leave without paying. 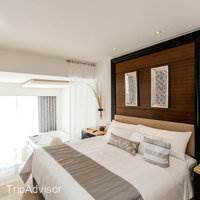 When you use your resort credits and sign, these are then classed as authorised payments and go on your room bill. When you check out, these authorised payments should be converted to a bill or cancelled. So ask the staff who check you out, to ensure any authorisations are cancelled. Then ask them to put it in writing. 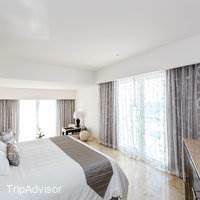 We received lots of help in sorting out small issues from Ana Paola, so thanks to her and all the other staff who made our stay so memorable.Would I recommend le Blanc? Bet your house on it. 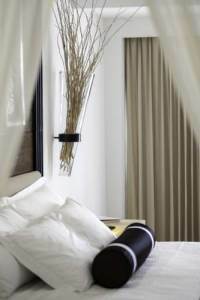 You have to stay at the Le Blanc if you are looking for a quiet, restful, amazing vacation. Le Blanc goes above and beyond to make their guests happy. One afternoon they made Paella by the pool. It was the best Paella I had ever had. I requested the recipe and it was given to me (in English) at the end of my trip. The spa is an absolute dream. 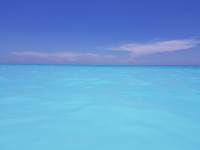 I spent hours there every day treating my body to the relaxing aromatherapy in the sauna, soft jets of the whirlpool, and peacefulness of the lagoon. And no worries if it rains...Le Blanc has it covered. We were treated to wine tasting, private cooking class, karaoke, and other great indoor activities. It was a truly amazing trip! 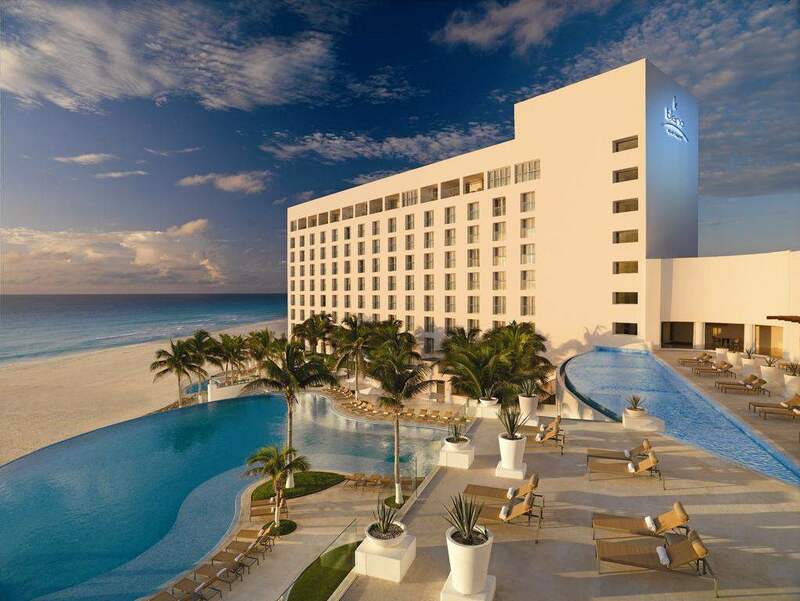 My wife and I specifically picked this hotel because it's the #1 ranked hotel in Cancun. It's an ADULTS only all inclusive and it's the most luxurious we've ever been to. I judge hotels by their service and the individual actions of the employees. The service at this hotel is the best I've ever seen. Everyone from the beach attendants, towel service, to the front desk and restaurants was perfect. They all smiled and granted each request we had. The food is excellent! 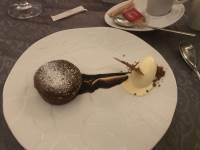 Each of the restaurants is very good quality and the presentation is that of a michelin star restaurant! 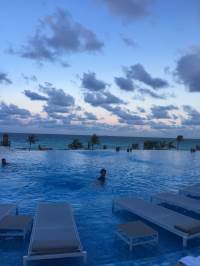 The infinity pool is perfect size for the hotel, we were there in December 2016 and it wasn't too crowded for us. 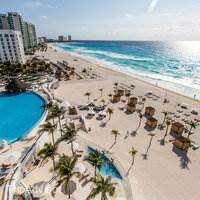 The beach at Le Blanc is probably one of the best in all of Cancun. 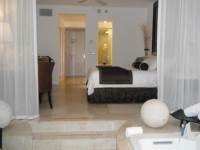 The rooms are very nice with a jacuzzi in the room and of course a full mini bar fully stocked with alcohols. There is no downside to this hotel except maybe #1, and that is entertainment. However, this hotel is probably mainly for people looking to relax, not for entertainment. The SPA was amazing! I was super impressed with each facility at this hotel. Thanks again! Pampering at its finest. We had a horrible flight so I was so happy to see our driver. He had drinks and cool towel for us. We were greeted at the hotel with cool drinks. Our butlers, Fernando and Mario were fantastic!! They have a scent menu and you can pick the scent for your room, and also a variety of bath salts to put in the tub with an ocean view. Elias was our waiter for breakfast and lunch and he was fantastic. I guess maybe David was a waiter in training and he was also very attentive. He did try and teach me Spanish, but I could not quite catch on. Across the board the food was excellent. With the great service we never had to wait for a drink. We participated in the Chef's dinner and also a romantic dinner on the beach and both were amazing!! Alfonzo was a blast!! He was a great person to have in charge of the activities. He and his group took very good care of the baby sea turtles we were able to help release them. I just wish the Cirq-d-so-le show was a little longer. It was very sad leaving as everyone was so great. Miguel drove us to the airport and was extremely helpful. I cannot wait to return. I Didn't Want to Go Home!!! On Saturday morning when we had to check out and they were cutting off my wrist band I nearly cried. Yep - that's the truth. Not because I didn't miss my family but because I had such a good time at Le Blanc. 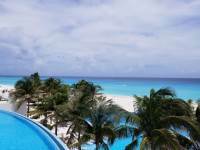 The resort is beautiful – not much to look at from the street but inside it’s elegant yet also comfortable (nice pool or beach attire with a cover-up is appropriate during the day). 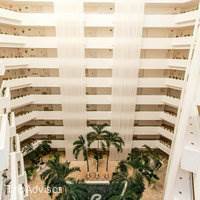 For our first stay in an All Inclusive resort, we could not have asked for anything nicer in terms of service, comfort, location, and excellent food and beverages. Overall, the service at Le Blanc is unbelievable. We know that each member of the staff is there to do a job but from the first day, my husband and I felt like cherished family members rather than paying guests. The sincerity that each and every person showed while taking care of us was something I did not expect but really enjoyed and appreciated. We never had to wait or ask for anything . 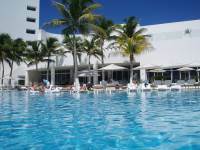 . . – the pool and beach concierges notice the minute you enter their area and come with towels, umbrellas and an ice bucket full of water bottles (Thank you Lucinda, Linda and Mauricio). They keep an eye on you and return frequently with more ice and water when needed and more than once, Lucinda had a nice warm towel open and ready for me when I stepped out of the pool. They also have food and beverage service at the pool and on the beach and these servers make sure that you are never hungry or thirsty (Jorge and Daniel were amazing!). Throughout the resort, all of the food and beverage staff get to know your preferences so by the end of our week they were anticipating what we wanted. 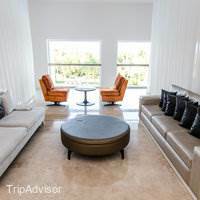 The concierge staff, especially the butlers for our floor (Israel and Santiago), went above and beyond to ensure we had everything we needed or wanted. They were so kind and gracious and it never seemed overboard or fake.We ate at all but one of the restaurants (the Pizzeria) and enjoyed each meal including a couple of “special” meals which we paid for using resort credit. Our favorite restaurant for dinner was “Blanc Italia”. They had a beef carpaccio appetizer that was heavenly! The “Chef’s Dinner” was like a really fast cooking show with each coarse served with a wine pairing and music. Because it looked so good I tried sushi grade Tuna and it was delicious (so was the rest of the meal!). 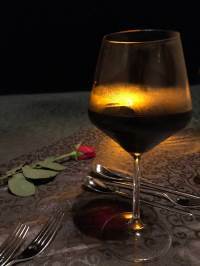 The “Romantic Dinner” was a private Surf & Turf dinner with champagne served on the beach in one of the cabanas that is set for a lovely dinner for two. After our meal, the chef came to our cabana to personally make sure that everything was to our liking (it was!). We’ll try out the Pizzeria on our next visit!While we spent most of our time on the beach we also enjoyed the infinity pool in the late afternoons. 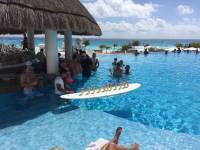 This is when many people flock to the swim-up bar making it a nice opportunity to visit. 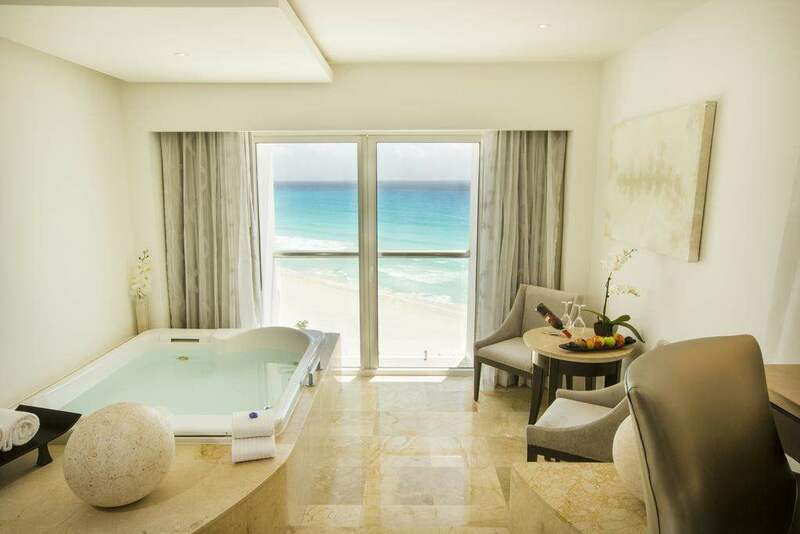 If you’d prefer privacy you can just move to the wall and enjoy the view of the beach.The spa is outstanding and features a tranquil “water ritual” which is open to resort guests even without booking a spa service. 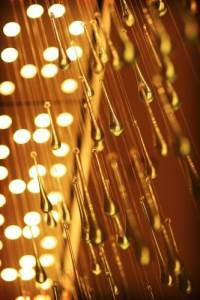 I went twice and after the water ritual I enjoyed two lovely massages and a facial. 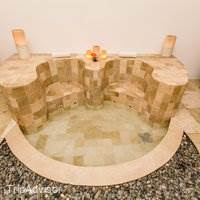 The water ritual includes a dry sauna, quick cold shower, wet sauna (with facial mask and hair conditioner), another quick shower, then a foot Jacuzzi and a regular Jacuzzi. There are also plunge pools at the end but by the time I soaked for a few minutes in the Jacuzzi it was always time for my massage. Before and after your spa service you go into a relaxation room which is a nice buffer between the wonderful service and the rest of the resort.Our room was one of the Honeymoon Suites on the 8th floor with a beautiful view of the ocean and the infinity pool area. We didn’t spend a ton of time in the room aside from sleeping and getting ready but it was exactly what I expected. We were not far from the elevator but the room was quiet and the AC worked well to keep us cool enough at night. Housekeeping and the butlers made sure our room was always tidy and they changed things around from day to night to make it bright and cheerful during the day or quiet and cozy at night (with different little gourmet chocolates as a bed-time treat!). The only thing they need to fix is the chairs at the desk in the room by adding some noise preventing glides! Every time I moved that chair I cringed because I knew that everyone above and below our room heard it! That is literally the only thing I would change! We loved our stay and want to go back! !Thank you to everyone at Le Blanc! You provided me with the week of relaxation that my husband and I needed! 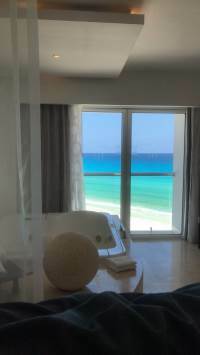 My wife and I just returned from a few days at the Le Blanc Cancun and it was absolutely outstanding. The moment you check in you begin to feel life’s stresses and strains begin to fade away. 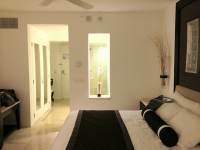 This resort is special and has a unique touch with a very well trained staff who can perceive your every need. 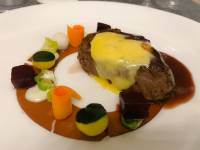 The food, wow, the food, prepared with the finest ingredients and presented with a detail that prevails any top restaurant on the planet. The attention to detail here is very important and each and every person involved in your stay knows what to do, for example, while at the beach our good friend Daniel Cruz made sure our beverages where made exactly the way we liked them and always with a big smile and courteous gesture. Ronaldo at the swim up bar was always there with his finesse and fine touch for a perfect drink in the pool. 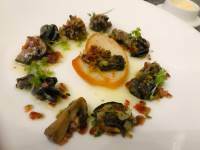 The hotels signature restaurant, Lemiere is fine dining at its best, French and delicious, accompanying great service and a super selection of wines. A special shout out to Carlos who attended our table there with class, elegance and a touch of humor that made for an amazing evening. Each floor has its own butler service, if you want, and an awaiting filled jacuzzi after dinner was always a nice way to end the day. 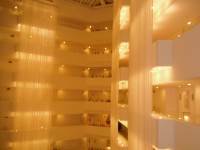 Really, this hotel is truly magical and we can’t wait to return. 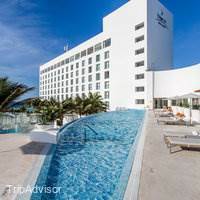 Go to Le Blanc Cancun, forget about work, kids, etc... and indulge yourself with a memorable reward of relaxation and reconnect with a loved one and slow down time, just for a while. 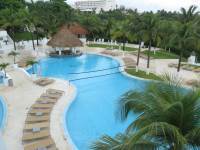 Having been to Mexico before i knew i loved the country but it was my first time at the Le Blanc Spa Resort. My room was something else wow !! 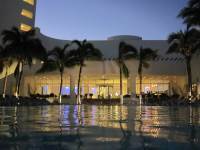 All employees are super friendly and so educated The service is unbelievable great and they have beautiful swimming pools with view of ocean and open bars.You are not going to find a resort that provides better service than LeBlanc. 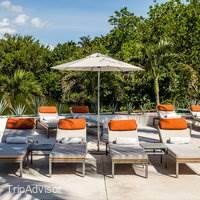 Whether it is poolside, spa or restaurants. All of the employees treat you like your family and want to ensure you have a perfect stay. Please chat with them. I would like to recognize some of the great employees who ensured I had had an amazing and memorable stay.Karen Gomez - Public RelationsBrenda - HousekeepingIssac Garza - Food & Beverage managerEdgar - Food managerErika - ManagementOctavio Camarillo - BeverageMario Sevilla & Francisco Cab, - BultersArmando Juarez - Internation ServerOscar Menezes - International cookRoberto Be Pool - ChefAnaly & Norma - Beauty SpaMiguel, Jesus, - ActivitiesJuan Carols, Joe, Roberto and Miguel in Drivers/ doormenThe food was excellent.They have multiple restaurants within the resort and the staff are very respectful of allergies and special dietary needs. My favourite was The Lumiere(French) restaurant was the fanciest restaurant I have visited and definitely recommended that you go there very hungry in order to enjoy the full experience. The food was the best I have had in Mexico and i dined at some of the most respected restaurants.Thank you for providing such an amazing and above and beyond service!! I will continue to tell everyone this is my favorite resort anywhere! And while I have opportunities to travel the world and experience new resorts often as my business takes me to some incredible places, LeBlanc has my heart! 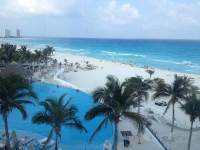 We spent our first week at the HardRock Riviera Maya, second week here and OMG!!! !Like Night and Day! Absolutely best vacation ever. Place was drop dead gorgeous! Service was outstanding. Food was not like anything I've ever had in Mexico (or many other places)We liked the Asian the best. Italian the least (we are Italian) French and International were great too. Lunch was extraordinary, breakfast too.Even the food by the pool was amazing.The service was so amazing I don't even know where to begin. Even the guests we met were some of the nicest people we've ever met on vacation. By the end of the week we were old friends. Truly the best place ever. Cannot wait to go back. Planning a trip for January.People I need to mention (they all deserve recognition, but these are some of the ones I remember)Antonieta (Supervisor in the Asian Rest.) total class act. Even came up to us by the pool and actually greeted us by name. Amazing!!! Her waiters, Manuel & Jerry was also a pleasure to be around.International restaurant, Armando and Jacinto greeted us so warmly every morning and at lunch and just about fell over each other trying to assist us in any way possible.I am a Spa nut, and the massages here were best I've ever had.Fitness Instructors were extremely Knowledgeable. Paddle board yoga was such a blast.Pool people would NOT allow you to do anything. Pamper pamper pamper, felt a little awkward in the beginning but by day two you were looking for frozen cucumber slices for your eyes. Jeanette, Chris, and Laura were beside you before you even knew you needed anything.One of the highlights of my trip were setting the beautiful sea turtles free every evening at sunset. :))))From the moment we were picked up from the HardRock by our amazing driver whom we neglected to get his name to the moment our driver (Miguel) drove us back to the airport was one continued wonderful dream. Oh and I almost forgot my personal butler Hugo. Need I say more!Place is incredible!Go! My wife and I went for one week in middle of September resort was it 40% capacity. Service and food were excellent had a great time in as an extra bonus they allowed us to use our resort credits all at the spa if we wanted. We stayed in the governor sweet which was very nice accommodations. My only real complaint is the toiletries provided by the resort. My wife decided to switch out her toothbrush and the toothbrush The resort provided were very cheap the bristles came out while she was brushing her teeth and she swallowed and choked on them. If you want to be a five-star resort you can't be buying cheap toiletries for your guests! I stayed at Le Blanc for a long weekend Sept 2017 (Thursday-Sunday) I was there along with 3 other girls for a bachelorette party. 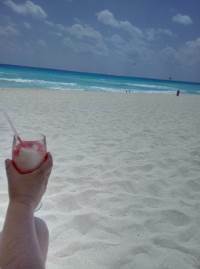 I have to been to Cancun several times before Le Blanc therefore my excitement was not extremely high since I knew what to expect.As soon as we arrive at the resort we are greeted with fresh cool towels and coconut milk drinks (YUM!) During our check-in I asked Erika (lobby attendant) if the hotel could do something special for my friend since it was a bachelorette party & she asked me to speak with our butler. While we were in the room our butler (Israel Santiago) stopped in to discuss the party decorations they could do for my friend however I was unable to speak to him and he said he would come back later. 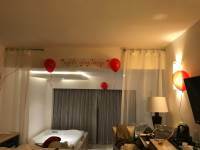 Later that evening we walk into our room and we see beautiful birthday decorations, balloons, champagne, strawberries dipped in chocolate & square chocolates. We were all laughing because it was not Ivy’s birthday however we appreciated the gesture. The next day we were at the pool and I was at the swim up bar while my friends were chatting with another couple. Israel sneaks into the swim up bar & said he had no idea it was not Ivy’s birthday and asked what kind of decorations he could do for her. I asked what kind of signs the resort had and he said just let him know what I would want the sign to say. I asked if he could grab a sign that says “Happy Bride” and then he asked what kind of snacks she likes. I told him Crème Brulee & tequila shots. On our way back into the room from the pool we got off the elevator and I see Israel at his butler desk with a hot pink “P” letter and he is cutting out the letter with a x acto knife. I could not believe that Israel was hand cutting each letter for the sign that I requested. After dinner we walk into the room and on the bed is individual letters that reads “CONGRATULATIONS HAPPY BRIDE” 4 tequila shots, 2 crème brulees, strawberries, cheese plate with crackers, bubble bath. The girls & I were so incredibly touched by Israel’s hand cut craft this was such a heartfelt touch to the trip that we will all never forget. The food at all the restaurants were absolutely incredible, hands down the best resort food. Carlos was our waiter at Lumiree (French restaurant) and I really appreciated his delightful attitude. He was very passionate about serving us and made us feel very special. Victor, the manager from Lumiree came over and chatted with us after we complimented him on Carlos. My friend wanted to know his recommendations of tequila and he spent a good 30 mins chatting with us the different tequilas and what made them special. Instead of a quick answer he really spent the time educating us and giving us the background of tequila. I appreciated his knowledge and time he spent us with. 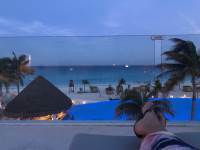 I was able to ask him questions that I had about the resort and Cancun itself and he was more happy to answer them for me despite how long he had spent with us already.The pool was also a great experience. Although the resort have several pools we only visited the main pool, on our first day we head over to the pool and Lucidinda is greeting us with the most upbeat welcoming. She was chatting with us too and was eager to serve us whatever we wanted we really felt like she was a friend. She gave us recommendations of clubs to visit since we were interested. Aaron the bartender at the pool, WOW what a hard worker. I literally saw him from dusk to dawn and in the evenings when I would pass by the bar he had the biggest smile and was happy to help us. We didn’t know where Blancasia was and he escorted us to the restaurant from the pool. That is high class service! !I also want to say that Jesus that was working the front desk in the evenings was very helpful. 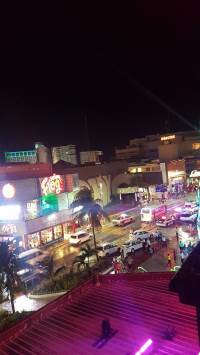 We were planning to head over to Coco Bongo and thought the resort would have a shuttle to take us over there however they did not. We were concerned about taking a taxi over there since we did not know if it was safe. Jesus assured us that we would be safe to take a taxi over there and told us the taxi ride should be $15-$20 tops. He said if the taxi driver tries to take more money from us to tell the taxi driver to hold on and come into to the resort and grab him. He would take $20 from us and handle the taxi driver while we go back to our room. Thankfully we did not get ripped off from the taxi driver but that was outstanding service.I cannot rave enough about the top notch customer service & incredible food. 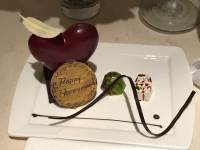 I didn’t expect much from the resort since I have been to Cancun before however I was blown away and will be a lifetime customer to Le Blanc. 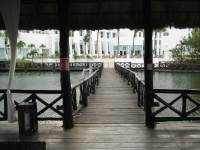 I have never been to a resort with so many smiling faces eager to help you in any they can. If there is anywhere in the world with no hate but full of love – Le Blanc is the place to be. I left this resort with new friends. I will be back soon & make sure to request everyone mentioned above.If there was 1 con it would be Laura from the pool. I tried to take a towel from her cart filled with other towels & she did not like that and said she would drive it off at my chair. I told her I didn't know where I would be sitting and she said she would follow me. Sure enough- she got caught up talking to a employee and did not bring the towels. She is the 1 person that didn't seem as smiley as the other employees but that is not deter me at all.Thanks again Le Blanc & staff for a unforgettable memory. See you soon. 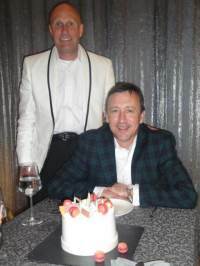 My wife and I celebrated our 26th wedding anniversary by enjoying 8 incredible nights at Le Blanc. 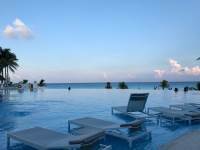 We have stayed in a number of resorts in Cancun and Cozumel but Le Blanc tops them all by a country mile. The rooms are spacious and elegant. 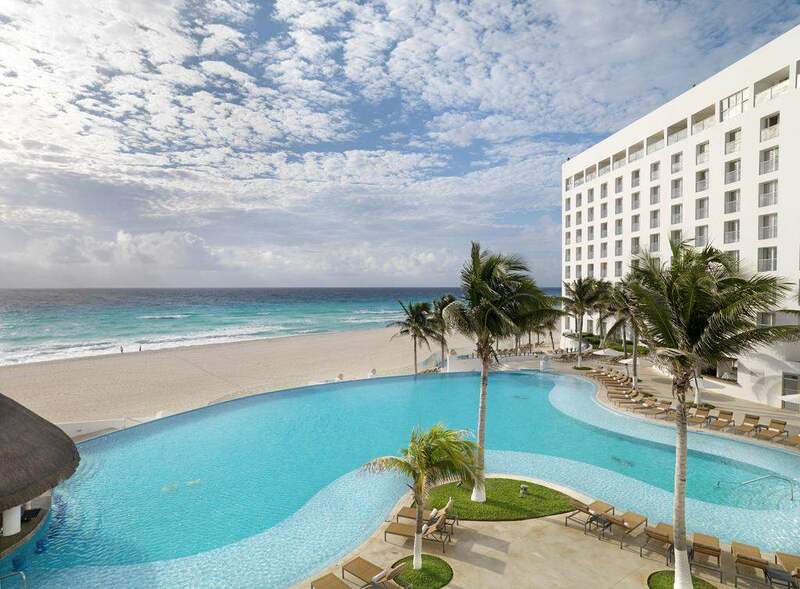 The pools and beach are top notch. And the restaurants are wonderful. This is all-inclusive at its very best. Thank you Le Blanc for the best anniversary ever! We stayed at Le Blanc for a long weekend, Thursday to Sunday.Excellent property, high standard service from the time of our arrival to the moment we left. 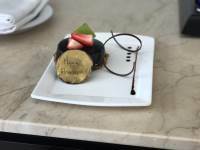 The French restaurant Lumiere was beyond my expectations, service was impeccable.We stayed in a very nice room, clean, beautiful view of the ocean and lagoon.Looking forward to come back. I had a few clients inquire about the resort so I wanted to check out the facilities to ensure this would be a place I would recommend or not. So, my husband and I decide to celebrate our anniversary here.First, the greetings to the resort were excellent! The weather was quite warm so the cool towels and drinks were refreshing upon arrival. The check in process was smooth and the hotel app was very handy.Secondly, the room was great. With our room we had ocean and lagoon views. The room was fully stocked with alcohol and snacks at all times. The butlers were available for anything you may need. We had Alex and Joel and there customer skills were OUTSTANDING! They truly made us feel like a King and Queen.We took advantage of the spa facilities, which were really nice as well as a couple massage. Total relaxation at its best!I will say that we had a lot of rain this week and the facilities had a lot of leaks. All were in main areas (lobby and dance area). It's time for some remodeling but it didn't affect our wonderful experience. The bell guy did happen to mention to us when we were checking out that they were about to start some remodeling projects.Lastly, the food was great as well. I good variety to choose from and the room service options were excellent!If you want to relax and be taken care of, this resort should definitely be on your list. We will be going back and I will be recommending to my clients. OMG OMG OMG every single thing in this gorgeous Hotel was absolutely amazing. 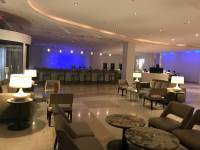 All employees are super friendly and educated from.The service is unbelievable great and they have beautiful swimming pools with view of ocean and open bars. 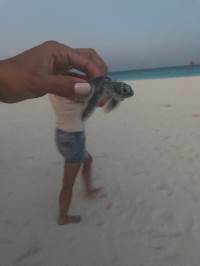 They released baby turtles in front of hotel and you can get information from your butler in your floor. 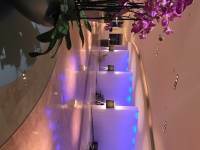 They have Best of the best Spa and french, Italian, asian and international restaurants. Me and my husband definitely back. The wife and I stayed at LeBlanc for the first time (8/26 -l 9/2) and I can assure you that it will not be our last. We flew from Austin to Houston and "Uncle Harvey" did all he could to keep us from getting to Cancun but alas, we got there and when we did it was heaven. From the moment we stepped onto the property until the time we left we were treated like royalty. After sitting on a plane for hours wondering if we were going to get to take off were we just mentally drained and needed to unwind. The first of many stars was Manuel. He was our butler and he was incredible! So helpful, so friendly and he had such great advice for us. Throughout our stay we could always count on Manuel to help us out. When he wasn't there, Issac was just as helpful and just as capable. We were quite fortunate to have them as our butlers that week. The first meal we had was in the main dining room and it was extremely well prepared. Whats better than that is the attention that was provided to us by Tony, she was amazing throughout our stay. She is the manager of the Asian restaurant and to say that she was professional, friendly, warm and a pleasure to be around is not saying enough. There was a night in which we had 12 of us that dined in her restaurant (we gave her advance notice) and she and her staff worked to make that a meal to remember. Key thoughts in no particular order: Food: We tried all restaurants with the exception of the french (just not our cup of tea). All were VERY good! If you like pizza (we do) the pizza oven on the piazza overlooking the ocean is a can't miss. The chef came out to talk to us and ask how everything was. "anything you like that is not on the menu, just tell us and we will get it for you..." The Asian restaurant was our favorite. Service at all restaurants was fantastic.Service: Let's get this out of the way right now. 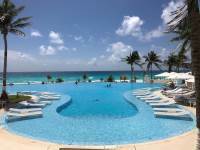 You are not going to find a resort that provides better service than LeBlanc. Whether it is poolside, spa, restaurant, etc. LeBlanc is synonymous. Examples? 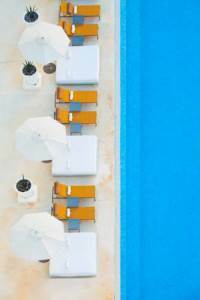 Fine;Going to the pool in the morning -"Good Morning Mr. Buck, would you like to sit in the same spot as yesterday.." As they begin to layout the towel for you, bring an ice bucket for your water, open the umbrella, or go get one... Forgot sunscreen in the room? They have some for you to use...What??? The hard working & attentive staff asks "Would you care for the same drink as you had yesterday"? Spa - You need to go! complete silence and relaxation a total experience in which you are selecting your fragrance and music to be used during your treatment...Your not wearing name tags, how do they know your name - and know it so quickly (attention to detail). Room - kept immaculate - all the time - did I mention the shower had a overhead rain shower and a bodyshower... Other Items:Gym - fantastic for those of us that are afflicted with working out while on vacation. Pool Volleyball - provided you can get enough people to play is in a separate pool so as to not disturb those relaxing. I list this only as its important to us as we have a net stretched across our pool at home...Pool is open late (with bar) nice as the place is quiet at night. Live band that played (Wholiganz) were awesome! great musicians, played great spread of classic rock. I might have gotten them a gig at Sun Palace. Didn't get to personally, meet Janai but it is evident that what he is doing is working. We will be back. Many thanks to Juan Carlos for our trip to and from airport. The staff at the Asian Alberto and Miguel. Alfonso and the volleyball great fun. The staff at the pool and beach Lucinda Laura and Jorge terrific!! Drinks could not be better from Aaron. We love Mauricio and his great care for us. Enrique our seventh floor butler spoiled us. Anna arranged everything for us on site and the whole crew there are the very best we have ever experienced!!!! Just come back from an awesome vacation. My wife and I had a very relax vacation. Top of the line.The accommodations were great and the staff was very helpful and outstanding. Speaking about the staff I want to recognize Laura Vazquez and Lucinda Perez from the Poll Concierge, Victor Tello (Snack bar), Marine (poll waitress), Carlos Nachon (mesero de playa), Ana Silva Carrillo and Elias Acevedo (Lobby bar), Daniel Flores Alcudia (bartender), Norma and Ivonne (beauty parlor), Iliana and Elizabeth (SPA), Elias Garcia Duran, Roberto Perez, Marcelino poot, Pascual kinik, Oscar Menesses chef AM , Juan Perez and Armando Juarez (Rest. Internacional a.m). And special thanks to Blanca Isela Pacheco (mesera de alberca Moon Palace) outstanding service. The people makes a big difference. Also Israel and Santiago (butler) and Miguel the driver. thankyou again. There isn't much else to add to the great things that have already been said about this resort. Stayed here 3 nights to celebrate our 20th anniversary last week. 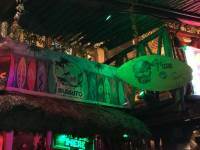 Perfect spot if you're looking for a smaller all-inclusive with excellent service and food/drinks. Easy access to the strip shopping, clubs, etc. if you want it. We would definitely go back. My husband and I just got back from an absolutely amazing honeymoon at Le Blanc. My sister and brother in law recommended this place said there was no place better and we were not disappointed. Everything you could possibly need, want or imagine is thought of here. The hotel smells amazing, everyone goes above and beyond to make you feel special and well cared for to the most extreme extent.Since we were on our honeymoon we had a complementary civil ceremony on the resort premises and Everyone went so far above and beyond to make sure everything was perfect. I had my hair done at the salon and the young lady who did my hair spent 2 hours with me meticulously curling every strand of my hair plus the extensions I had with me (which I didn't expect at all) she insisted on it being perfect and it was absolutely amazing.Our wedding planner Sheryl set everything up from location to flowers to photos. We hired Dream photography (Vicky was awesome!) and we are so glad we did we will cherish these pictures forever. 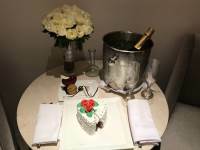 Our butler Miguel turned our room into a romantic oasis the evening of our ceremony: flowers, champagne, balloons, hot bath with rose pedals, chocolate strawberries THE WORKS! 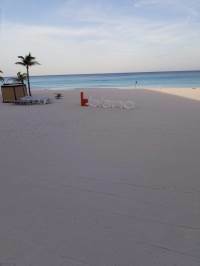 !We chose not to leave the premiss so we used our resort credits at the spa, dinner on the beach and a cabana that are well well well worth the 16% tax required. I had never had a massage or facial before and they made my first experiences so incredible this is the most beautiful spa and everyone working there is sooooo good!! !Our favorite part of the resort was the gorgeous infinity pool. Chris, Daniel and Jeanette were incredible getting our towels laid out and never letting us go without a fresh perfect drink. (All of the alcohol served was top shelf and no one had any issues at all) The view from the pool is just breathtaking you could spend the whole week just there.We did do the beach cabana but really this was our least favorite, we only stayed half the day went back the pool. The service in the cabanas was not up to par with the pool but we still enjoyed the experience. ONLY issue we had was that there are sand lice on the beach most active in the early mornings and night along the damp parts of the beach, we were very bothered by this (very itchy hive like rash on feet and ankles) and learned that it can be prevented by using bug repellent. This issue is by no means a reflection on the hotel they cannot control the ocean. I only bring it up to cation you and to not be freaked out as we were. Its not serious and was gone in a few days (***we never saw any bugs, mosquitos or even flies on resort premises very clean and bug free! I have zero Zeka concerns as we didn't get bit at all. The food was excellent! 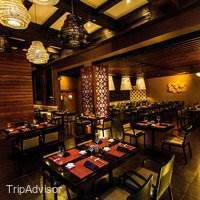 They have multiple restaurants within the resort and the staff are very respectful of allergies and special dietary needs. Our favorite was the Leblanc international, simply because of their staff (Daniel and Erica were great)! They take the time to get to know you, explained the menu and options very well and provided amazing service! The Leblanc Terrace/ Stage, offers pizzas, snacks and honestly had the best bartenders for mixed drink. Highly recommend Mocha Monkeys and White Sangria, my personal choice for the duration of our trip. The Lumiere(French) restaurant was the fanciest restaurant we visited and definitely recommended that you go there very hungry in order to enjoy the full experience. The food was excellent (Marco is amazing and very knowledgeable) but we didn't enjoy all the options due to our lack of proper planning for the event. This is also the only restaurant that requires a reservation. The Italian restaurant was also extremely beautiful and served great food and was a great experience.We didn't try the Asian restaurant because we really don't prefer that style of food. 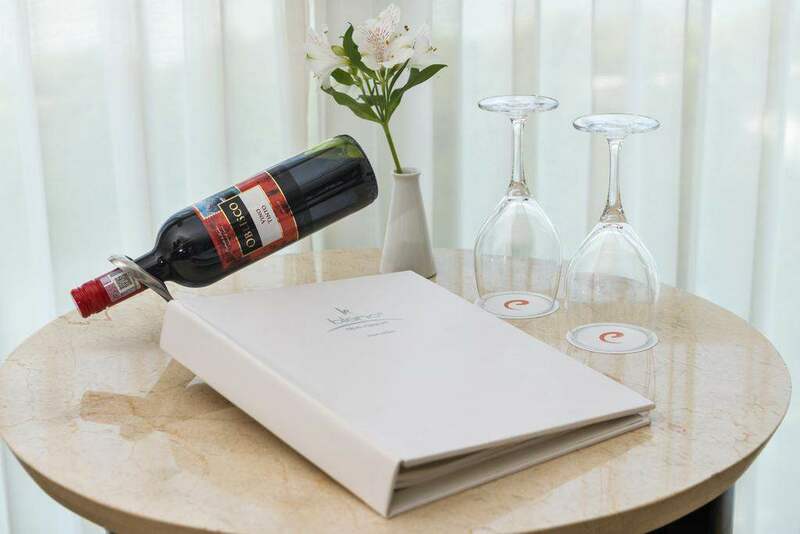 Room service is exceptional, 24hrs and has a 30 min turnaround from order to your door and the quality of food was just as good as the restaurants within the resort. 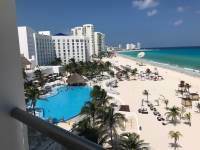 At no time whatsoever did we ever feel unsafe or anything but relaxed and well cared for if you are thinking of a vacation in Cancun there are no other options you must go to Le Blanc we can't wait to come back. Most beautiful and relaxing resort I have ever been too. The staff far exceeded my expectations! They were always friendly and made me feel like I was the only person they cared about, they literally pampered me. Starting with the warm welcoming I had with my favorite drink personalized with my name. Some of my favorite highlights of the trip were relaxing by the beautiful pool, Cindy always made sure I had what I needed! I had an AMAZING dinner at Lumiere with some of the best food I've ever eaten. I had the best spa experience EVER all because of Priscillia and Lizeveth. Antonio and Francisco were our Butlers and they made sure my room was stocked with everything we needed and were extremely helpful. I loved the rooms, the beds were comfortable, and we had some of the best views of the beach and ocean.I cant say enough about how incredible this trip really was. Karen (event coordinator) made every part of the trip special for me. She went above and beyond to make me feel so special. Her creativity and attention to detail is truly a gift! This trip was a getaway with my friend Chrissy Ferrell who is a Diamond member! Chrissy was able to make sure this trip was better than I could imagine. Thank you to all the people who made this trip, one I will remember for ever... I can't wait to go back! Wonderful trip to celebrate birthday of my daughter. Just come back from Cancun from the Le Blanc I just like to take time first of all thankyou to Mr Janai the General Manager,Leslie assistants manager ,Pamela Luna public relation your guys were so wonderful ,made my trip created so many great memoriesfor celebrate my daughter birthday..Karen Gomez is the jew of the Le Blanc when it come to the service ,nothing that you like or want that go un satisfaction to your need.Marco and Edgar Hau , Omar Acevedg manager of the International restaurant ,had made sure the food were so perfect,Issac Garcia food and beverage manager , Octavio Camarillo beverage thank you so much for made sure that I am not run out of the fresh coconut wonderful guys.Santiago and Roberto chef at the International is the best . The food is delicious no complain there. Vanessa Viruel Host is always greet me with the mile and very happy,she is the best.The Le Blanc have one of the great group of the server Elias Garcia,Fausto Poot, David Izquierdo.Cesar Petatan,Armando Juarez, Jacinto Pech, Juan Perez hat off to the best group.Samuel Martinez, head of the butler thank you so much for made sure everythings that I need is well taking care of.Antonio Lopez, Mario Serilla, Francisco butler is so great with the service and then exceptional caring to the guess is very satisfaction and warm to me,I feel like this is my second family in Cancun.The staff in this resort work very hard and never say no to anythings that you ask , so please travel out there they do deserve tip and bring plenty of small bill it a little go a long way.There no where in the World that you will get this kind of service and be pamper, no wonder why the resort is number one in Cancun .I have been come to the resorts since 2009 and keep come back to the same place some time twice or three time a year. 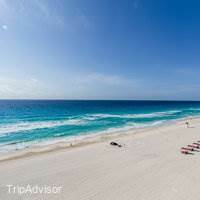 Every one out there is concern about travel to Cancun with all the alert and warning ,it is the safe and peaceful place to travel and no worries ,if you not out there looking for trouble.It is so safe that you can walk out to the street and go shopping just like in the State.From the bottom of my heart and on the behalf of my family and friend thank you so much for the best staff at the Le Blanc.See your guys very soon, I will deficome back to home away from home . Top, Top, Top of the line!! Just returned... Had OUTSTANDING time, and resort was the BEST!! Accommodations exceeded expectations... Juan, our butler, was there for every need. Judith at relations desk seemed to be there every morning to greet us. 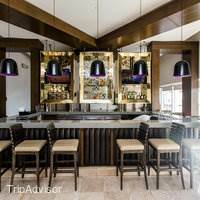 Elias, at the lobby bar, was happy to serve us, and always said... "Tequila?". Pool service... Laura, hardest working girl,... our lounge and towel was always ready. Pool Bar... Billijoel, always had us hydrated and experimenting!! Restaurants all had outstanding choices... our favorites... Asian and Italian. 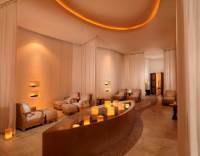 Lastly... SPA.. highly recommend the Citrus experience for couples... Nora and Estrella, thank you!! 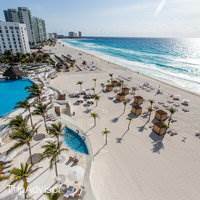 Hands down... best resort in Cancun! Everything was wonderful during our stay. From the room, to the views, the wonderful infinity pool and the drinks.. it was paradise. And the staff... they were fantastic. LeBlanc really made our vacation a complete romantic getaway. We've been in all-inclusives several times in the past, but this place is the best. We highly recommend it for any couples. It's the People Who Make It Paradise! My wife and I agree ... Le Blanc was our best sun-n-fun vacation ever! We'll definitely be back. What made our week at Le Blanc so fabulous? The people who work there. Sure, the facilities are beautifully maintained (and, we're told, on schedule to be spruced up even more next year) but that's not why we left raving fans. And the food was plentiful, tasty and attractively presented but that's not what makes Le Blanc rise above the rest. It's the people that make a Le Blanc vacation truly exceptional. Simply put, to a person the staff at Le Blanc are charming, caring people who excel at customer service and satisfaction. By the end of your week there, you'll have a dozen or so stories about the times someone went waaaaay out of his or her way to make some part of your stay an absolute delight. With massive apologies -- and big thanks -- to all of the people we've forgotten to mention, here were some of the folks who made our stay so fabulous and tips about how to enjoy every minute of your stay: (1) Welcome Concierge -- You'll be greeted and transported by "Welcome Concierges", not doormen or drivers ... I think that tells you something right off the bat about the Le Blanc culture of customer service. 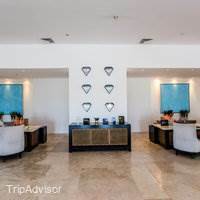 During our stay, my wife and I truly enjoyed how Michael and Juan Carlos used our travel time with them to share their own personal insights and tips for enjoying our stay in Cancun. (2) Start Each Day with a Smile -- Every morning when you leave your room to start your day, you'll be greeted by a smiling butler/majordomo ... Ours was Israel. He was the first person to greet us each morning by asking if there was anything he could do to make your stay more pleasant ... Heck, he even pushed the elevator button for us. Can you think of a better way to start the day? From there, head on down to breakfast. Yummy? Yes! 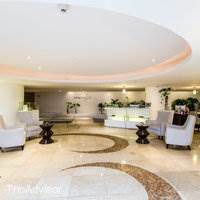 And with a friendly and fast server like Armando taking personal care of you, you'll be setting the stage for a whole day of people pampering you. 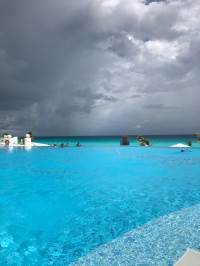 (3) The Pool & Pool Bar -- This is the center of the universe for any Cancun vacation and Le Blanc's team does it best. Laura and Lucinda are constantly on the go in the pool area ... They're folding fresh towels into pillows ; Putting cucumber slices and cold compresses on your eyes; Bringing you resort drinks ... Lean back and relax! 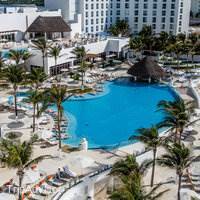 If you want to move around a bit, swim on over to the pool bar and introduce yourself to Bilyjoel, Daniel or Oscar ... They'll whip up some tasty drinks for you and serve it with unfailing good cheer. (4) Events & Reservations -- I bow down to Alfonzo for how committed he is to making sure that you have tons of fun to fill every waking moment of your day. Insider tip: If you are a decent volleyball player, he'll make sure to round up a good game for you ... Beware of his jump serves! We also had the benefit of Roger making our reservations a seamless affair. He's a real pro and a good guy to boot ... Big thanks to you, amigo! (5) Massage -- The spa is spectacular and the staff there is super well trained ... My personal favorite was Emma for a deep tissue treatment! Bottom line = We owe everyone I mentioned -- and many others -- a huge debt of gratitude for a wonderful week. We look forward to seeing you all again next year! This is my wife and my second to our last day here at Le Blanc. The people are great, beach is wonderful. The Asian restaurant is our favorite. Wife very much enjoyed her SPA time. We have a few issues, our room was near the elevators so there was a lot of foot traffic. 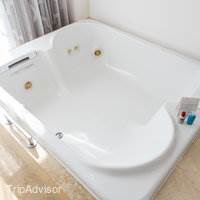 Three years ago we stayed at the Sun Palace with a Concierge room and that blows away the honeymoon suite room we have (704) and was at least $500 or more cheaper. 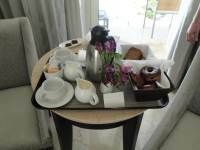 When ordering room service for morning coffee and pastries, it always took them two tries to correct it. My wife and I love the sea food ceviche but it is never consistent when we receive it pool side, today was mystery seafood and not the expected shrimp, squid, octopus. We are on vacation so we are sleeping in past 8AM but that is difficult because of all the room noise above and next to us as well. 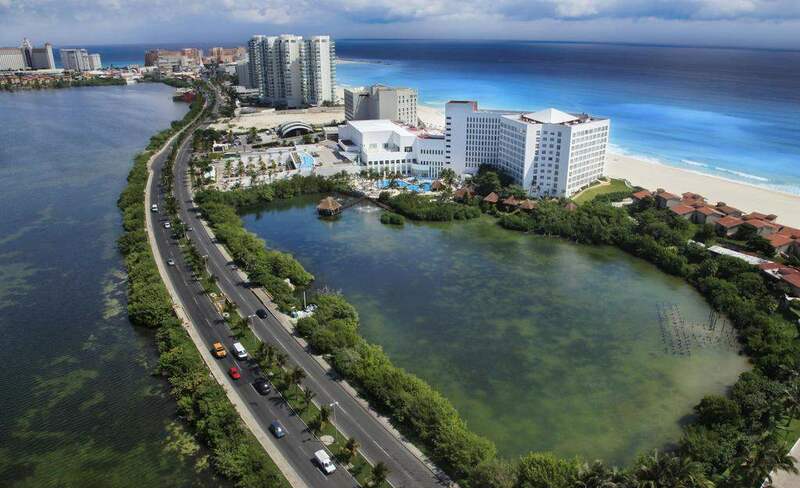 For us, the next time we return to Cancun, it will be at Sun Palace. Staying here a week, half way thru. The service here is impeccable. They go above and beyond to make sure you are happy. For example my fiancée had just finished her drink in the infinity pool. When the event coordinator who was working on a separate event on the beach walked by (Maria). She saw that her glass was empty and asked if she was done and if she could get her another drink. Within seconds, we both had fresh drinks made with top shelf alcohol and the waiter stepped on a table to reach up and hand them to us. This has been an amazing experience so far. Thank you to Fernando, Micguel, Billy Joel, Allen, Maria, Janette, Marine, Jarr, and so many more that have helped make this a memorable vacation in cancun. 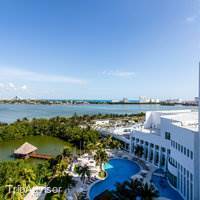 After a cancelled flight due to Irma, the hotel was very accommodating, and their service remained exceptional. Our butler Manuel was so very helpful all the way! Oscar by the poolside and Kenny behind the bar really made sure we had a great time with our friends and made the most of our extended vacation. 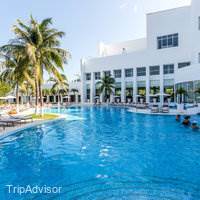 We will definitely be coming back to Le Blanc Cancun and highly recommended to anyone in search of quality service, attention to detail, and relaxation. We just returned from our second Le Blanc vacation last week. 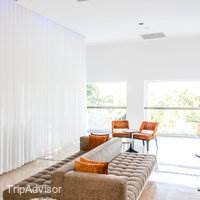 First, if you are reading reviews of this hotel, you are likely considering Le Blanc as your next vacation destination. Without any hesitation, my recommendation is stop searching, this is the one!For the staff, there are a few nit piks I was unable to address in the survey. First, we were on the 8th floor and the water pressure was bad at times and it took a while for the water to get hot. Second, options at the Lumiere are very limited and we never ate there because of this. A nice addition for all the restaurants would be to have a daily special to mix things up a bit. And lastly, the pool service was inconsitent. Overall this was another incredible vacation and we'll be staying again at the Le Blanc in the future. My sisters and I got a day pass here for 2 days because our parents had a room here so we spent 2 complete days here. First off the day pass is not worth it for the price because it is extremely overpriced, but we had to in order to spend the few days with our parents. The hotel itself is very small but beautiful. The food was beyond amazing from the breakfast to the dinner, however, the drinks were not as good. I would not recommend going out to eat at the sister properties such as Moon Palace, it was horrible. It is a complete downgrade from Le Blanc. The spa here is amazing and we spent a quarter of the day in there; very relaxing. They treat you very well. Every employee at this property is extremely nice. We were able to experience the room because we saw our parents room and we were given a courtesy room to get ready in. The rooms are very nice, spacious, and clean. We would definitely stay here next time. Excellent experience! 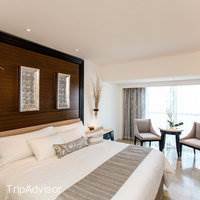 This is our second stay here and we were very satisfied with the high level of service which brought us back from the first visit. The staff were very attentive and but not helicoptering or encroaching into your space. Food was great and they occasionally went off the menu to provide dishes and desserts per our request. 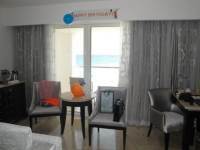 The butlers were on point by ensuring that our room were constantly maintained in a clean condition. Would highly recommend this spot for any couple who were looking for a relaxing vacation. I just stayed at LeBlanc for the 9th time since 2008. 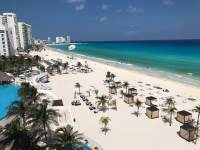 I own a travel company and have been all over Mexico and the Caribbean, and LeBlanc still tops my list as my favorite luxury getaway spot! We just returned from a quick 3 day stay at LeBlanc (my husband and I), and after a 2 year hiatus from staying there, I was pleasantly surprised to see so many of the same staff members and familiar faces! From Joe the doorman to the butlers (Enrique, Hugo, Manuel) to Lucinda at the pool giving me a hug when she has not seen me in 2 years.....it just always feels like home when we arrive!The service and food selection was top notch! I have several food allergies and they were able to meet my every need....I was so impressed with the number of gluten free options at each restaurant. The breakfast and lunch "buffets" are a far cry from what you imagine with a resort buffet. The quality of food is just so wonderful!Our butlers went above and beyond for us with any and everything we could want or need. Also, the spa still tops my list as favorite resort spas!! My massage I had from Estrella was so wonderful! !Thank you for providing amazing and above and beyond service!! I will continue to tell everyone this is still my favorite resort anywhere! And while I have opportunities to travel the world and experience new resorts often by working in the travel industry, LeBlanc is still my heaven on earth! Best customer service and food that I've ever experienced at an all inclusive! Resort Credit promo needs improvement. 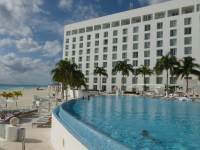 This was my third time to Cancun, but our first time staying at Le Blanc. This resort definitely went over and beyond our expectations. The food & service were both incredible! This place really knows how to treat their guests like royalty. However, I think their "resort credit" promotion needs to be a little more realistic. 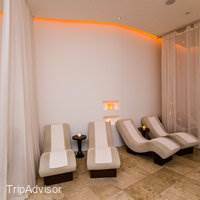 We naturally assumed $1,500 would go a long way, but our couples massage & facial was $1,200! I wouldn't complain if it were truly free, but they also charge a 20% tax of some sort, which means a treatment like that will still cost you about $200 out of pocket (seems a little dubious if you ask me). If you know that going into this resort though, you will have the right expectations and an amazing time. 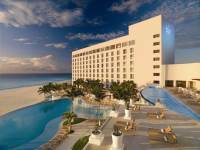 I don't think you'll find a better all inclusive resort in Cancun! Every inch of this hotel is top class. From the moment you walk in the door, to the moment you leave, is service at its finest. The rooms come with a double Jacuzzi, fully restocked bar & Snacks. As every floor has a Butler, he'll make sure you want for nothing! We came back to find our Tub filled, champagne roses and balloons filled the ceiling. Our butlers were Isaac, Miguel and Mario and they made our stay very special! The pool area is beautiful, maintained by an army of Staff who'll make sure you never need ask for a top up. The atmosphere is so warm and welcome, thanks to the staff at the pool, Oscar, Omar, Carlos, Jorge ( Georgie), Jesus and the many others. Making friends with other guests and staff is inevitable. 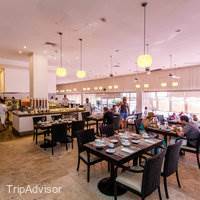 The variety and service of the restaurants is world class. 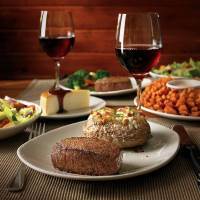 Manuel , Edy, Carina, Caesar providing an excellent service with beautiful food. The SPA is out of this world! The gym is excellent and Ambar provides a variety of classes throughout the day. There's so many other amazing reviews about this hotel, there's no need to elaborate but just say, this was the most memorable holiday we have ever had and by the end of the week, we felt so at home but with all the luxuries, we've already booked our next trip back! The Turtles! We were lucky to be there for turtle season and this is an experience you will never forget! Memories we will have forever. I've visited this place for my honeymoon and was absolutely wonderful. There are so many people who reflected true hospitality and the place became the first place I wish to go back.At the door, trustworthy bellman - Jesse and Alberto were always there to greet me and my wife at all time, night and day, and when I visited Blanc international for breakfast, Gabriela and Armando served us with great attitude and friendship. 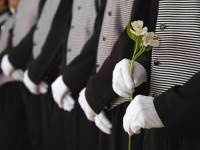 I've stayed on the 8th floor and the butlers on my floor, especially Samuel, always faced us with great smile and always tried to offer us for his exceptional service. Can't miss Blanc Terrace, where me and my wife had first meal at Le Blanc, as there pizza was outstanding as well as the service provided by Jose Ake and Erick Jimenez. Also, can't remember the name but a young boy, who was standing at the pool bar on the lagoon side, showed us great hospitality and helped us to enjoy time at the pool.Especially Shayli gave us unforgettable memory with preparation and execution of perfect wedding ceremony, although we couldn't do it on the beach because of the weather, but everything was just perfect and thank you again for all the efforts for helping me to give great memory for my wife.For last but not least, from the beginning of our stay at Le blanc until the last day, Jeha Kim showed us a true hospitality and believe me, I am in the same hospitality industry, but I am really impressed with what she's done for us during the stay. 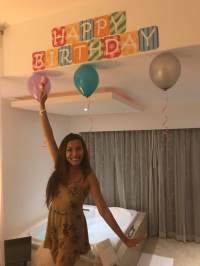 She is kind, supportive, always ready and wish to help for us to enjoy our trip even more and more.Beside great facilities such as pools, restaurants, bars and etc., the most important factor that made my honeymoon perfect is the efforts of all associates and can't wait to visit there again to see those great people. I strongly wish to express my sincere appreciation for all other associates who I couldn't name here as I had no way to find every one of them but really, the trip couldn't be more perfect than my stay at Le Blanc. Thank you for all of associates at Le Blanc and wish all of you the best. Hope to meet you all in the very near future. Much worth to flight for 40 hours to visit Le Blanc. Celebrated our 2nd anniversary. Met some great people and had some great meals. The staff if as good as we have had with a special call out to Geoge, Oscar n Billy Joel around pool n beach. We'll definitely come back and stay here again. Top shelf alcohol.. Just ask for it. 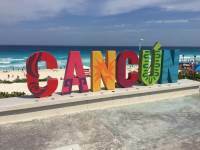 We did a little research in advance related to tainted alcohol as well as the State Departments warning about traveling to Cancun. Felt completely safe the entire time. Music could be better by the pool.